KEW Engg & Mfg Pvt. Ltd. superior manufacturer of different type of Rubber Roller. Various type of Rubber Roller like P U Roller, Ebonite Rollers, Hypalon Roller with a high-quality rubber material. Also, other Rollers and Rolls like Guide Roll, Metal Roll, Brush Roller with different size and width depending on your machine. Industry-specific Rubber Rollers for Flexible Packaging, Paper, Film, Textile and many more. 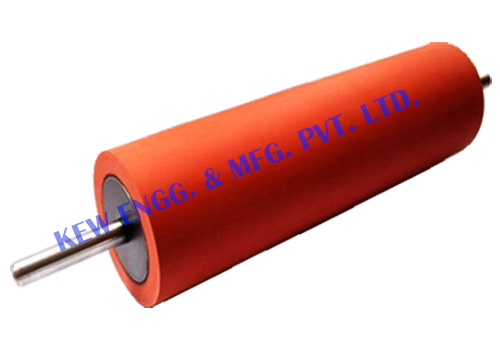 Rubber Roller Manufacturer like Industrial Roller, Printing Roller, and Textile Roller.